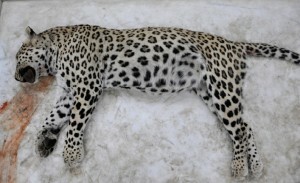 The Persian Leopard (Panthera pardus saxicolor) is listed as “endangered” by the IUCN Red List of Threatened Species. The bulk of the remaining population is in Iran, with the animal historically in Georgia, Azerbaijan, Dagestan and Armenia. 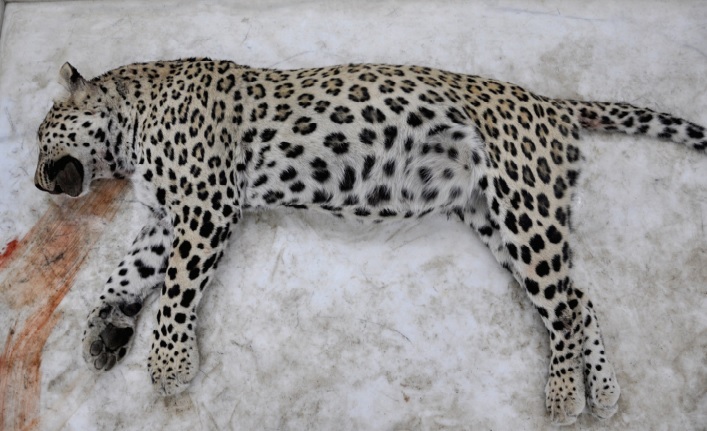 The status of leopards in Iraq and south-eastern Turkey has been unclear for decades and there has been no evidence of a reproducing population reported outside Iran. Recent decades have seen on-going armed conflicts in important parts of the potential leopard distribution range, particularly the Zagros Mountain range in Iraq and Turkey, so no studies have been conducted to prove the presence (or absence) of the species from that range. Militarised zones such as this can also offer opportunities for otherwise persecuted rare species to persist relatively unmolested by human activities and less affected by landscape use such as agriculture, pastoralism and resource off-take. Avgan et al (2016) report 10 confirmed and 2 unconfirmed leopard records between 2001 and 2014 from northern Iraq and south-eastern Turkey – all were males, which could have been long-range dispersers from Iran (over 500km away). However, the long distances between these records and the nearest known breeding populations in Iran suggests to Avgan and colleagues that a so far unnoticed reproducing population may occur along the north-western part of the Zagros Mountains in western Iran, northern Iraq and south-eastern Turkey. This entry was posted in Conservation and tagged leopard, Persia on June 13, 2016 by Simon Black.